While emergency alerts on your phone can provide helpful, even life-saving information, there may be reasons why you want to turn them off. Perhaps you frequently receive notices that aren’t important to you (I often get flash flood alerts, even though I live in Manhattan) or believe Amber alerts are simply crime control theater. Or, if you’re in a bad weather area that receives many alerts, maybe you simply are tired of being disturbed while sleeping, at the movies or anywhere else a piercing alarm is definitely not wanted. Or you’re already getting alerts through a weather app and you don’t want duplicate notices. Fortunately, your cellphone gives you the ability to decide what types of emergency alerts you want to receive. Here’s the information each alert delivers and how to turn off those alerts on your Android phone or iPhone. The Wireless Emergency Alert (WEA) system is based on an Act of Congress in 2006 that authorized the Federal Communications Commission to create a network that would consolidate information from a variety of federal agencies and disseminate that information to citizens via their cellular devices. The network became fully operational in 2012. 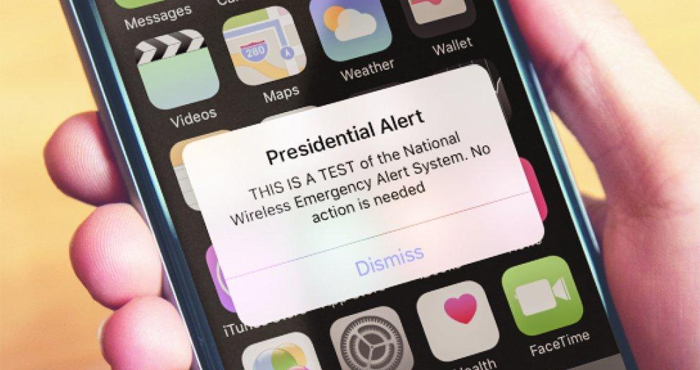 Unlike text (SMS) messages, emergency alerts are broadcast to everyone connected to a cell tower, which allows specific geographic targeting to everyone in an area, rather than being sent to individual recipients. Extreme warnings include tsunamis, tornados, extreme wind, hurricanes and typhoons. Severe warnings include storm surges, snow squalls, flash floods and dust storms. Most phones will allow you to turn off each category of alert, except for the Presidential alerts; this restriction was mandated by the 2006 Law. But lest you get too worked up over this last point, the law restricts these texts to emergencies and a Presidential Alert has never been issued. Go to Emergency Alerts for the option to turn off Amber Alerts, Extreme Threats and Severe Threats. The exact steps may vary slightly depending on your Android version and phone manufacturer. Is there a way to turn them off if the phone is not a smart phone? Each phone and carrier has different menu steps, so you should Google “Turn off emergency alerts [carrier name] [phone model]” to see the specific instructions for your device. - From the home screen, press the OK button on the keypad. - Scroll and select Settings. - Under the ‘Network & Connectivity’ tab, scroll and select Wireless Emergency Alerts. - From the main screen, navigate: Message > Options > Messaging Menu.